Your inner history buff will appreciate Justice & Police Museum and Gledswood. Attractions like Canyoning & Rappelling Tours and Australian National Maritime Museum make great kid-friendly stops. Explore the numerous day-trip ideas around Sydney: Valley Heights Locomotive Depot Heritage Museum (in Valley Heights), Katoomba (The Three Sisters, Lost Bear Gallery, & more) and Logan Brae Orchard (in Blackheath). Spend the 31st (Mon) exploring nature at Bouddi National Park. Spend the 18th (Fri) among the memorable landscape of Figure 8 Pools. 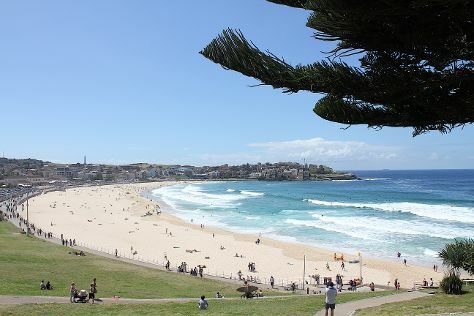 And it doesn't end there: enjoy the sand and surf at Bondi Beach, stroll through Manly Beach, wander the streets of Darling Harbour, and admire the masterpieces at Brett Whiteley Studio. For traveler tips, other places to visit, reviews, and other tourist information, read Sydney online day trip planner . Dhaka City, Bangladesh to Sydney is an approximately 13.5-hour flight. The time zone difference when traveling from Dhaka City to Sydney is 4 hours. In December, daily temperatures in Sydney can reach 32°C, while at night they dip to 21°C. You will have some time to spend on the 20th (Sun) before leaving for home.